Building links to your website is widely seen as one of the key components of search engine optimisation (SEO). 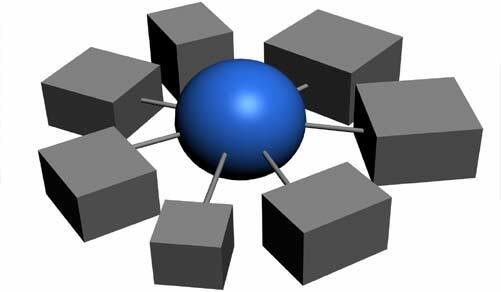 You may have seen marketing agencies offering link building as one of their core offerings. However, while having lots of other websites linking to yours is no doubt helpful for SEO, the quantity of links is no longer as important as it used to be. What’s more important nowadays is having links from good-quality, trusted websites to yours, and using link building as just one element of your SEO strategy. At Greaves Design, our link building approach is about quality over quantity. We offer link building services that won’t just get you listed in hundreds of second-rate, spam-ridden directories that no one ever uses – instead, we’ll target trusted, high-traffic websites and opportunities for links to create more organic traffic. Where you can then convert it to enquiries and sales. By taking this approach, we’re confident you’ll find that our link building services don’t just boost your performance in Google’s search results, but it will increase your immediate opportunities for more sales. We can deliver link building as part of a comprehensive digital marketing strategy, or on its own if you just want to start dipping your toe in the water of SEO.